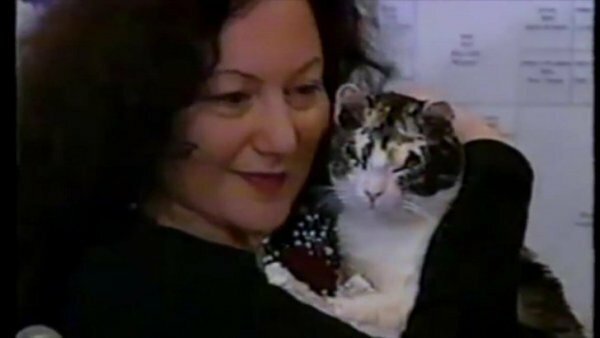 Back on March 30, 1996, Scarlett and her five kittens were in an abandoned garage which was being used illegally as a crack house in Brooklyn when a fire started. 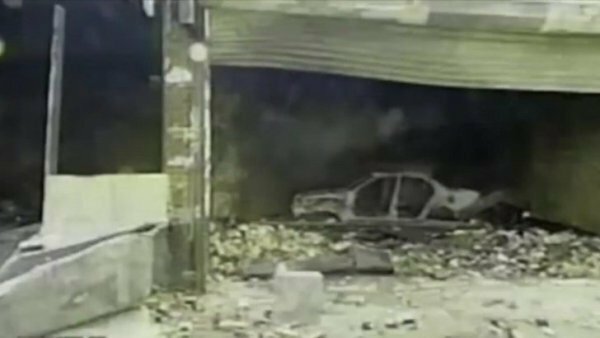 The New York City Fire Department extinguished it quickly. Once the fire was finally under control, David Giannelli, one of the firefighters on the scene, noticed Scarlett was carrying her kittens one by one away out of the garage. 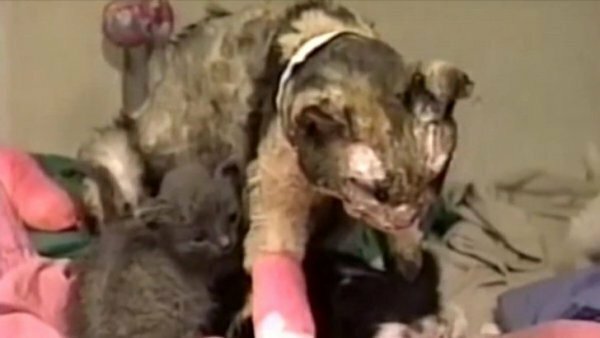 Scarlett was badly burned in the process of running into the fire so many times to save her babies. 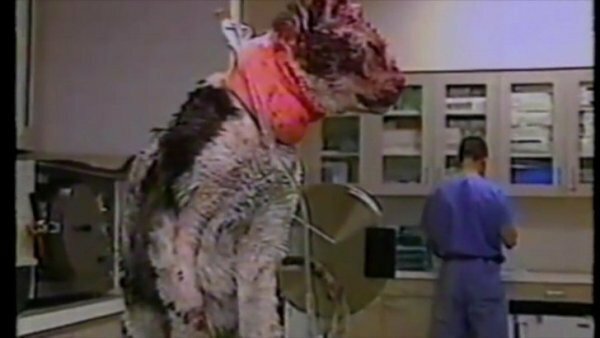 Her eyes were horribly blistered shut, her ears and paws burned, and her coat highly singed. Even worse, the majority of her facial hair had been burnt off. 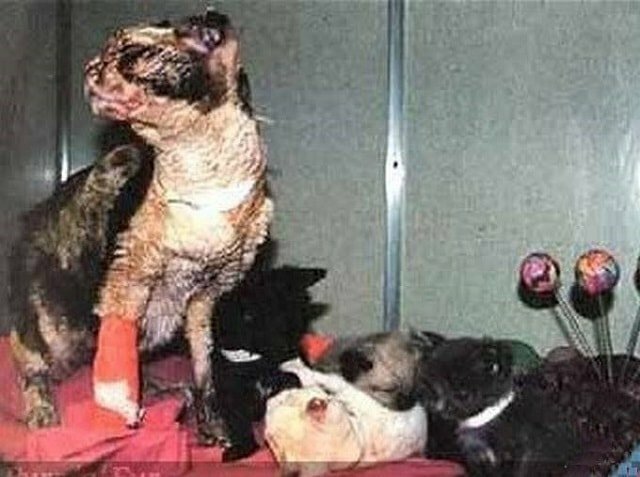 After finally saving all kittens, the mother touched each of her kittens with her nose to ensure they were all there and all alive as the blisters on her eyes made it impossible to see them at that time. Just when she made sure all of her babies were safe and sound, Scarlett allowed herself to collapse unconscious. Scarlett and her entire family were immediately taken to a veterinary clinic at the North Shore Animal League in Port Washington, New York where they were all treated. 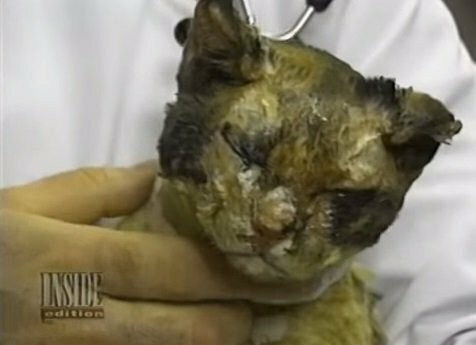 An unlucky kitten of the four died very shortly after from a virus a month after the fire. However, after three months of treatment and recovery, Scarlett and her surviving babies were all well healthy enough to be adopted. 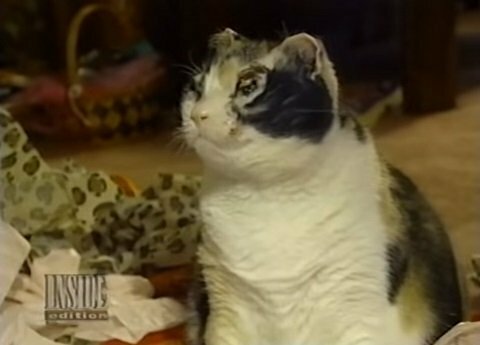 The heroine calico cat, who went through so much for her children, lost her battle with multiple illnesses after living with her adoptive family in Brooklyn, New York for over 12 years. On October 15th, 2008, Scarlett the cat, whose wonderful story of bravery, uncompromising love and triumph over all odds, passed away. Back on March 30, 1996, Scarlett and her five kittens were in an abandoned garage which was being used illegally as a crack house in Brooklyn when a fire started. After finally saving all kittens, the mother touched each of her kittens with her nose to ensure they were all there and all alive as the blisters on her eyes made it impossible to see them at that time. 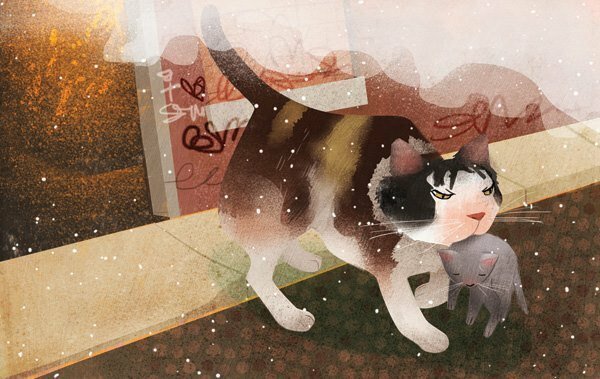 The heroine calico cat, who went through so much for her children, lost her battle with multiple illnesses after living with her adoptive family in Brooklyn, New York for over 12 years. We will never forget you, dear Scarlett.